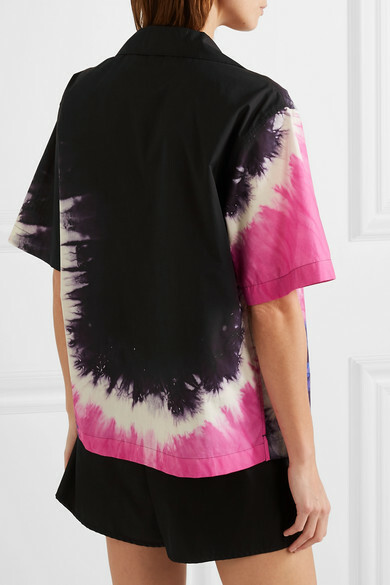 With California surf culture setting the mood for so many Spring '19 shows, we made sure to buy heavily into tie-dyed designs. 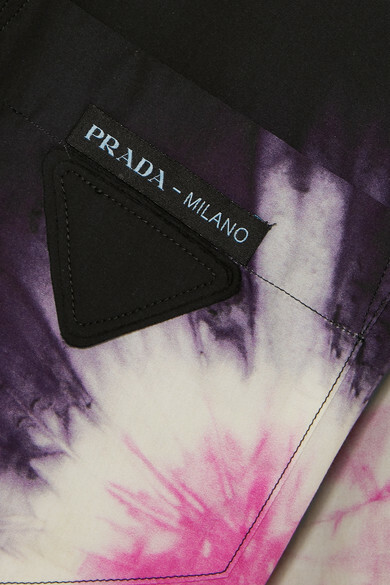 A fresh and elevated take on '90s styles, Prada's shirt is made from lightweight cotton-poplin decorated with zesty swirls of white, pink and indigo that really pop against the black base. It's cut for a loose, boxy fit and has a retro camp collar. 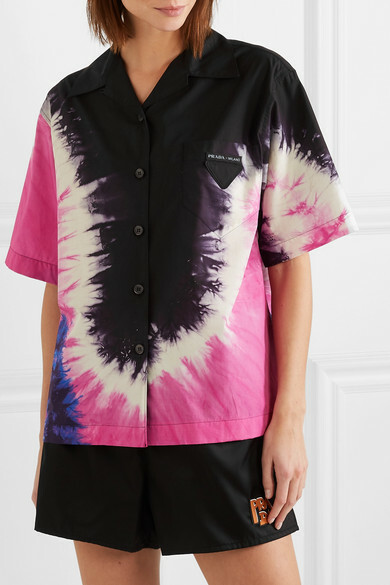 Button it up or wear it open over a graphic tee. Shown here with: Prada Shorts, Prada Shoulder bag, Prada Sandals.